Total Management Reviews Recently Reviewed! Pros: The customer support, what it is capable of doing, the value. Cons: Could be user friendlier and look more attractive. Overall: It is hard to find a property management software that can handle commercial business parks and doesn't break the bank. TM isn't perfect. So many little things I wish they had done differently to make it more user friendly. But we only manage 100 units in 8 entities, we are mainly an investment and development firm. So we can't afford spending $ getting set up with Yardi Voyager or MRI, not to mention the outrageous monthly costs. And we do know people who just did spend the $ and absolutely hate their system. So getting set up with TM doesn't break the bank and it is a month-to-month contract. The software can do everything we need it to. It can handle accounting, property management, CAM (also more complex CAM) and it can truly handle those separate entities. Now, it doesn't look pretty. Sure I wish it was looking a little more like Appfolio. It looks old school and the reports look blank and aren't customizable. But it can do a lot more than Appfolio for a commercial user, and the numbers are all there. Their CAM setup makes me want to pull my hair out. But at least it can handle it, and you only have to set up CAM once, then you can track it every month/year, however you do it. The tenant online portal looks old school and blank too. But hey, it works. Now, the payment processor they work with is RentPayment (Yapstone), and it is nice that the online payments get just show up in the system. But boy, Yapstone customer support blows. And they charge fees for ACH/eCheck payments, not just for credit/debit card payments. I know other rent payment processors who don't charge on ACH payments, which is nice for tenants. The Total Management customer support on the other hand is AWESOME. I have NEVER dealt with a company that had this kind of customer support. EVER. You get free trainings via join.me to help you get set up and their trainers are great. I would have been totally lost without them. If the system has a glitch (which really doesn't happen a lot) you email customer support and they fix it. Although half the "glitches" I thought I found turn out to be user errors - oops. The more you get used to the software the less you have issues. I have used it for 1.5 months now and it really isn't bad to get into. Now, the data import was tough. You can use their import sheets for the basics, but you still need to manually set up late fees, rent increases, lease data. But thats the same with every new software. Overall, really good value. Recommendations to other buyers: If you are a small-medium scale commercial management firm that outgrows excel and quickbooks but can't afford MRI then this is a really good software. There aren't very many options in this size/prize category ( Appfolio I think are the other most likely) and I like TM far better than any of the options. We appreciate you taking the time to share about your experience with our program! We're glad to hear that you've had such a positive experience with our support team - We'll be sure to let them know. Pros: I appreciate the ease of use and the abundance of information available, especially the wide variety of reports that can be generated. People with little or no accounting experience can use the software without dread because of the built-in features that takes care of ensuring everything goes in its proper place. Cons: Recently, during a Windows 10 update, I had difficulty printing reports correctly in Google Chrome. This was not the Total Management's software problem, but until I discovered the problem was with Windows 10, I thought it had to do with the Total Management software. I was able to switch to a different search engine and print the reports I needed. So, the point of this is to give the reader a heads up. Overall: Our company has been using the Total Management software for nearly three years. What a difference it has made. I handle mostly the financial aspect of the property management business. I've had a couple of issues, but the support staff is top-notch. They respond quickly and work with you until the issue is resolved. I can't say enough good things about how complete and detailed the software is and how user friendly it is! I can highly recommend this software to any property management company that's looking to make life easier, yet have access to a wealth of information regarding all aspects of their company. Recommendations to other buyers: I appreciate Total Management, the software and support team. I appreciate the time it saves me every day, the detail it provides me and the excellent support I have received since my first contact with them. We appreciate you leaving a review! It's always great to hear from long-term users, and we're happy to hear that you've found our program to make a difference in managing finances! Pros: Web-based so that it can be used anywhere with an internet connection. Allows you to take all of your information to meetings and answer questions on the spot. After you use it for a couple of weeks, it becomes easy to use. Customer service is excellent. It offers 99% of the features that we need. Software that had 100% of what we need is a 1000x more expensive. It isn't worth the extra cost for the few extra useful features. Cons: There is a learning curve and its isn't intuitive, but I don't know that any software would be very intuitive. Overall: We used to administer our property management using several different programs by several different people. As a result different programs had conflicting information. By switching to Total Management, everyone has the same information. Also information that we provide to lenders now looks professional and consistent. Total Management has improved our profitability by giving us information that we never had before, and increases our collections. Total Management is not that expensive. If your company is trying to manage its properties by using QuickBooks, you are making a big mistake if you don't switch to Total Management. Recommendations to other buyers: Give your company sufficient time to transition to the software. This isn't something that can be done in just a couple of weeks, but it is worth the effort. We appreciate you leaving us a review! We're happy to hear that switching to our program has had a positive impact on The Pugliese Company! Pros: Tracks income and expenses and provides detailed reports. Easy to use. Cons: No budget features in software. We are using the TM Excel spread sheet. Overall: There is a learning curve with all new software so it took some time to get used to Total Management. We are overall satisfied but I will share some challenges we've experienced. 1) We can only email customer support and not pick up the phone and call and speak with someone immediately. However, when we've emailed problems to customer support, we immediately got a response and an answer to our question. 2) We've been working with customer support to automatically calculate our monthly management fee, which is between 4-5% of the gross collections on each property; however, this problem is still outstanding and we've given up. We cannot get the system to automatically calculate the monthly management fee. 3) Total Management should have a budget feature in the software program. Sophisticated owners require a detailed budget, YTD actuals, etc. We are using the TM budget Excel spread sheet but it would be helpful to have everything included in the software and not have to copy and paste into Excel. Recommendations to other buyers: Add budget features to the software. We appreciate you taking the time to leave us a review. Hearing back from our users is important to us in continuing to provide a great experience. We're glad to hear that you've found our support team helpful! Pros: Logging in anywhere in the world. Cons: No app yet for smart phone, but can still use it using the browser. Overall: We been using total management for about 3 years now and it has made such a positive impact for us. It simplified so many things for us. From the fact that no matter where I go I can log into a computer and get contact info on a tenant, to logging in an issue with them. Plus the simple process if a tenant is late can just hit a couple buttons and prints out a late notice. I searched for couple months to try to find a company that was able to meet our needs and I am glad I gave them a try! We appreciate you leaving a review! It's always great to hear from long-term users like you. We're glad to hear that our program has helped Miller's Manufactured Housing Communities have a positive experience and that you're enjoying our ease of log-in access! Cons: Although it's nice to look back as far as we need too, for security, I don't like that you can have more than two calendar years open for accounting. It allows for changes to past tax years after filed. Overall: We've had total management for about 4 years. My experience has been great. I love the fact that I can jump on from anywhere I have internet access. The overall user ability is great. Thanks for leaving a review. It's always great to hear from long-term users, and we're happy to hear that you've had a great experience so far! Getting feedback from our users is important in making sure that we are providing a good experience. Cons: The calendar could use some help. When I click on a range of dates in the future the end date date is allowed to conflict with start date. Overall: Total Management is a solid online PM tool. There is a learning curve and a decent amount of training involved when first starting TM. After using TM for a week or two most things are pretty straight forward. If you do have a question, the self help tool is very helpful. If more information is needed support has always been quick to respond to any questions that we might have. They seem to be continually improving the online experience. I would definitely use TM for any future properties we acquire. We appreciate you writing a review! Hearing back from our users is important in continuing to provide a great experience. We're happy to hear that you're finding our program easy to use and that our support team has been helpful! Pros: - I can access the information anywhere I am. Cons: - I can not translate default reports or letters. Overall: For this short 6 months period I have been using this software, I noticed it´s an useful and very complete tool in the real estate business. There were some things I suggested to the support department and they solve the issue in a way that I can work better right now. Keep evolving! Excellent choice of Software. Recommendations to other buyers: - Make an option or have an option for those clients (like us) who wants customizables features. Maybe you can create different types of contracts, basic contract (as it is right now) and premium contracts, wich allow clients to ask for customizable features. Thanks! Thanks for your review! Happy to hear that you've enjoyed our support team and the ease of access to the program. Recommendations from users like you are always great feedback. Pros: Easy to utilize and manage. Fast and easy for newbies to learn! Cons: Feels like I still need training in some areas . Still so much to learn. Wish it were easier to correct mistakes such as move outs. Customer Service is hard to reach at times and get answers. Overall: I use this software daily. It has so many features that I am still trying to get use to daily. All in all this is a great software to use. We appreciate you leaving a review. We're glad to hear that you're enjoying the many features of our program! If you ever need help re-learning one of them, please reach out to our support staff. They would be happy to help! Pros: The simplicity and ease of use. The reporting features are great. Cons: I love it all. 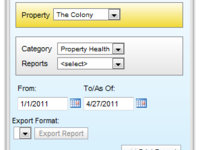 Overall: I've been using TM to manage my multiple commercial properties for several years and simply love it. It's so easy to use and has great features as well. I recommend TM to any all property owners who want to easily and effectively manage their properties. Recommendations to other buyers: I recommend TM to anyone interested in easily and effectively managing their properties. We appreciate your review! Happy to hear that our program has helped make it easy to manage your commercial properties! Don't forget about our referral program, where you can get a $50 amazon gift card for any referral that signs up with us. Pros: User friendly, straight forward and simple. Cons: Aging on some of the reports as we were so used to using Quickbooks - it is just different.. Overall: Using the Total Management program has made the process of collecting rent, tracking expenses and doing the CAM Reconciliation for our commercial spaces a breeze! If there is a question about generating a report, the customer service is prompt and helpful. Highly recommend this user friendly program. Recommendations to other buyers: Be sure to have your ledger of accounts set up correctly! Thanks for your review. We're glad to hear that you're finding it easy to use our program for your business! Pros: This is user friendly, edits are easy to make, you can manage multiple properties and companies with easy. Cons: There should be a way to emailing tenants/clients allowing the ability to type a detailed message to the tenant. Overall: Overall a good experience, the system is user friendly and the "how to" feature helps work through most problems that I have come across. Thank you for leaving us a review! We're glad to hear that you've had a good experience and that you're finding our program to be easy to use! Pros: Please see my previous detail. Cons: Please see my previous detail. Overall: We have used TM since July 2016. I find the software is very easy to use but we have run into some issues with reports and accounting functions that could be improved upon. For instance, the AP report is still being worked on and does not match the Balance Sheet total when credits are involved. The bank deposit detail report does not show non tenant deposits. At times the reports for AR and prepaid Rent do not match the Balance Sheet either. The accounting side of the software is not as good as the property management side. With that being said, we are still very happy with the software. Recommendations to other buyers: Please see my previous detail. Thank you for leaving a review! We're glad to hear that you're finding our program easy to navigate. Hearing back from our users is important to us, and we appreciate you taking the time to share about your experience with us. Pros: Rent escalators, rent roll reports - We really only use it to add rent, print reports, etc. Cons: Set up seemed to take awhile and the numbers in put were not accurate. Overall: I am enjoying using Total Management. The set up was not great. I am not sure if it was on our end, or your end, but when the info was inputted the numbers from previous rent collections were all incorrect. I love how the rent rolls print out. I like how you can put rent escalators in there. Everyone has been helpful when I had a question. Training was good. Thank you for your review! We're happy to hear that you're enjoying the rent escalators and roll report within our program! Pros: Gentle learning curve, reasonable price, month-to-month contract. Cons: Horrible financial reporting, unreliability, lack of completeness of utilities, lack of internal budgeting. Overall: Total Management is easy to learn to use and adequate for a number of regular functions, but quickly becomes inadequate for use with multiple properties. Balance sheets often don't balance, especially when they are run for multiple properties. The available reports are inadequate for tax return and bank reporting, so most reports need to be created in Excel. The owed to/due from feature is handy, but very complicated to unravel when these short-term balance sheet accounts need to be eliminated. The bank reconciliation feature is convenient, but doesn't actually reconcile the bank statement to the books. The CAM reconciliation feature looks nice, but since it does not reflect journal entries it is useless for our purposes. The support folks usually try to be helpful, but are constrained by the program limitations, and often seem to have little knowledge of accounting. 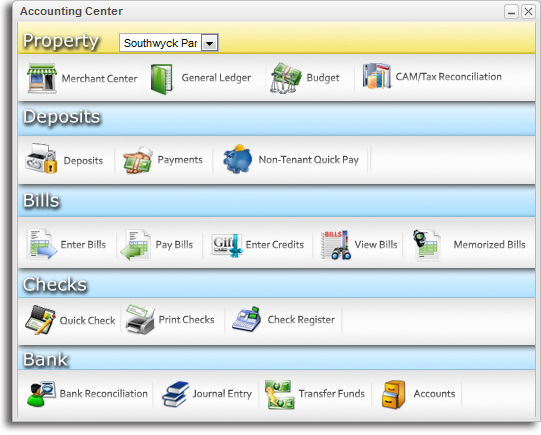 It would be much better all around if it could be reconfigured as a front end system for QuickBooks Online. The best features are reasonable price and lack of a long-term contract. Recommendations to other buyers: An OK choice for a small management company with only a few properties. It would be better as an "add-in" front end utility for QuickBooks. Pros: I like that you can work in all companies at once. I also like that you can upload the invoices into the program. I like the overall workflow and look of the software. Cons: The reporting. I need to be able to customize reports. I also hate that buildings are set up as different entities in an accounting sense. I also hate that you can not upload a budget and run reports with the budget. Overall: I wish there were options to customize reports. The general ledger is also really bad. Other than that it works great for what we need it to do. Thanks for leaving us a review! We're glad to know that you're enjoying our document upload aspect of the program. Hearing feedback from our users is important to us, and we appreciate you taking the time to do so. Pros: Tracking data, copies of documents, tenant information and work orders. Cons: Reports and showing the correct merchant payments. Overall: Work Order function is very useful to track repairs and maintenance. Easy to use and help to tenants. Recommendations to other buyers: Create a general report to track all vendors and entities. Thanks for leaving a review. We're happy to hear that you're enjoying many of our program's features! Needs to be easier for a savvy, super experienced person to figure out faster without orientation. Pros: Screen transition very good and quick. Arrangement of Data is good. Cons: Query features are too limited does not meet needs. Training and support to limited, we may have never used the program to the full. Overall: The program seems limited in features to query and report. Support is sooooo hard to get and most of the time the answer is no it doesn't do that. :( -- sorry. Overall: Very easy to use . Customer service is very helpful and cooperative. Website has plenty of information to manage the property. Cost of services is reasonable. Thank you for leaving a review. We're happy to hear that you've found it easy to use our program and have enjoyed working with our support team! Overall: I ABSOLUTELY LOVE THE EFFICIENCY AND ORGANIZATION OF TOTAL MANAGEMENT. I ALSO LOVE HOW FAST THE CUSTOMER SERVICE IS. OUR RENTAL PROPERTIES ARE 90% MORE ORGANIZED NOW THAT WE USE TOTAL MANAGEMENT. WE TRIED A NUMBER OF DIFFERENT SOFTWARES BUT THIS ONE SEEMED TO BE THE BEST FIT FOR US. We appreciate you leaving a review and sharing about your experience with us! We're happy to hear that our program has helped increase organization and efficiency. Cons: It is hard to find prior tenants when they had a shared lease. It does not list them but the primary lease holder so this makes land lord verification difficult. Overall: This software is easy to navigate and customer service is amazing! I have found that all task can be reached from main screen, any mistakes can easily be corrected. Thanks for leaving us a review! We're happy to hear that you're finding our program easy to navigate and have had a great experience with our support team! Very effective in keeping data up to date. Pros: The software was used for a property management company. It was very easy and clear to use. The data stored was up to date and easy to update. I also love the feature of being able to upload all the files to each account and saving paper! Super eco friendly! Cons: Nothing! I enjoyed every aspect of using the software on daily basis. It made daily tasks easier, like uploading files and adding new clients. Comments: may need better accounting reports. Pros: Initially there is a quick learning curve. lots of reports. Easy to keep track of inquiries, work orders, etc. Cons: I don't like only chat for customer service. should have phone service for more complicated issues. Overall: Excellent software for managing multiple properties! Support is friendly and knowledgeable. Features are great! We appreciate you leaving a review. We're glad to know that you've had a friendly experience with our support team! Comments: I started using Total Management about 2 years ago. I work as a property manager for a growing real estate company and Total Management is perfect to store and keep track of all our data. I would recommend it to anyone! It is easy to learn and navigate! We appreciate you leaving us a review! We're happy to hear that our program helps make it easy to store and track data! Don't forget about our referral program where you can earn a $50 amazon gift card when referrals you make sign up with us. Overall: Overall quality is top notch!! Very easy to use once you get through all the training. All the features a PM needs to run their property easily and efficiently. Customer support always responds within 24 hours or usually less. Extremely good value when compared to other PMs. Thanks for leaving us a review! We appreciate you taking the time to share about your experience. Happy to know that you're finding our program to be easy to use! Excellent, easy to use software. Pros: Easy to implement. Very logical. Cost efficient. Overall: Our experience has been really good - easy to implement, great help screens & great customer service. We appreciate you leaving a review. Happy to hear that your experience with us has been really good! Pros: I used total management for my growing portfolio of multi family units. 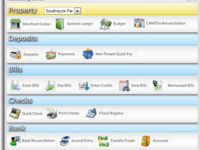 It helps keep us organized and offers streamlined access to reports, rent rolls, and ledgers. It is pretty accessable if you are used to this type of software. Cons: Integration to other softwares is limited, and customer support is not the strongest. Overall: I used total management daily, and it is a very useful tool. It gives me the ease of multitasking to track repairs, run reports, and find resident information. Overall: I love Total Management. There are so many features, that really make it the up and coming site to use. You can keep everything together, even work orders for maintenance! It only took me a day or two to get the hang of it when I first started working with it. Very user-friendly! We appreciate your review! We're happy to hear that you're finding it easy to maneuver the program! Remember, if you ever have any questions, you can always reach out to our support team for help! Overall: I've enjoyed using the program and found it very easy to learn. The support team is very helpful and has quick response times. Thanks for leaving a review! We're glad to hear that you're enjoying using our program and that is has been very easy to learn. Comments: Our organization, which manages multi family housing units in the affordable and supportive sectors, switched to Total Management from PropertyWare, despite a strong sense of skepticism, having tried a number of real estate management programs unsuccessfully. It took about a month of simulated practice, (all of which was done on the free trial) and about a week for actual implementation. While the adjustment (mostly psychological) took some work, I haven't been more pleased with a business tool since the advent of the PC. The breadth of data that becomes available is amazing, and the ways in which it can be looked at and analyzed is nothing short of revelatory. The most exciting piece of the package is the full integration of the management function to the accounting, thereby eliminating the double entry requirement and all the errors that follow. My employees are equally impressed, and it has increased their productivity immensely. The best news is how we found over $10K in rent-receivables owed by a government agency, which was promptly paid! Amazing what the right information can do for a business. Lastly, but perhaps most importantly, the support has been superb. Knowledgeable and highly personal, the guys at "command central" seem like our very own IT department, and have infinite patience to boot...I recommend most wholeheartedly!! 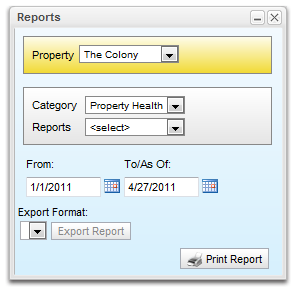 Pros: It has helped us to manage our properties in a more organized way than excel. Cons: integration to other softwares. We can not use the accounting, payable and CAm Rec functions, as we have other main softwares that we use and shared services who we can not ask to manage dual softwares. Overall: We've had TM for about 2 years now. It is a simple starter software that has many functionalities to track multi building and multi tenant operations. It has not been a software that can be integrated into our accounting software, so it has been a better way than excel to track our properties, but has not been the tool to solve all of our issues. We appreciate you leaving us a review! We're glad to hear that our program has helped organize property management for Pacific Dental Services! It's important for us to hearback from our users, and we appreciate you taking the time to share about your experience with us. Pros: The property management side of things makes tracking tenant payments, etc so much easier than our Excel spreadsheets. Cons: Some of the reports do not match or offer what I am looking for. Overall: Overall, I am very happy we made the switch to Total Management. There have been a few bumps in the road but the support team is always there to answer questions. We appreciate you leaving a review! We're happy to hear that you've found our support team helpful and that it's been a positive experience! Comments: Oakes Realty wants to thank you for recommending the "Total Management Software". We have now been dealing with this company since October, and so far we are very happy with this software and their immediate support team. We have been doing Property Management for about 20+ years. The last 4 years we have had nothing but major issues dealing with our previous system's upgrades. That is why we turned to Software Advice. We contacted over 8 different companies, went through 6 different demos and by far the Total Management Web-base Software was the most impressive. Not to mention, the demo training people knew the in and out's about their software. Where as other companies couldn't answer a lot of our questions when we were shown their demos. Total Management has a very strong support team and returns your calls, chats, and comments ASAP. They find ways to resolve any issues you may have. The most impressive thing would be that they are open to new ideas to streamline their current software. This software is quick, easy to access information, and their tenant demographics are great to help eliminate paper copies. Our only regret with this company is, I wish we would of found them earlier in our Property Management career. We would be happy to give reference to future customers and they are free to contact us. Overall: My company just started busing this software this year and it works really well. There are a few things that could be tweaked but I am very happy with how it works. No seven a work order comes in, it is sent straight to my email instead of me having to walk across our property to get a piece of paper. Thanks for leaving a review. We're happy to hear that you're enjoying the work order to email feature! Comments: We are a commercial and residential real estate and management company. We brought in four properties from an existing company. The system they used did an okay job of tracking payments, but wasn't getting any support from the company that bought it, and didn't have the bells and whistles you look for now (email to tenants, Owner portal, ACH payments). We uploaded some information by ourselves, and sent some big properties in Macros for them to upload. Took about a month of hard work to get Total Management up and running. We love the ease of use of the software, and the price is right where it should be. The support from the staff is great. The software is still very young, and we have given some feedback on some wants and some must haves, and they have been very receptive in implementing or trying to implement. Best parts: Inputting payments is very simple and quick; it has good reporting, and is easy to read. Total Management is very user friendly, and offers great in house support. It makes it easy to create new property. Commercial CAM function. Text-email work orders. Down side: Can't apply payment to specific charge (i.e. late fee, assessment), and has no label print function. Recommendations to other buyers: make a mobile app please! Thanks for your review. We're happy to hear that you are enjoying our software and support team! Pros: That you will try to make any report I need. I like being able to restrict use to certain areas for certain employees. Cons: Some of the reports have a lot of information but I get around this by exporting and removing those columns. Overall: The training was exceptional and very well done. Any questions I have are answered in a fast response. The software is easy to use and can be tailored to my needs. I did a lot of free trials for new software and this was the best. There is so much details and reports that I am still discovering. Thank you for leaving a review. We're glad to hear that you enjoyed the training of our program. Remember, if you have any questions, you can always reach out to our support team! Pros: The software is cohesive and user friendly! The support staff took the time to identify the company's needs so they could demonstrate the benefits of the software that would best meet those needs. I feel they listened and then guided us, so we could maximize our use of the software. There were a few bumps to overcome in the beginning, but the team never faltered and was always open and willing to meet or exceed our expectations. Cons: I am still learning the software, but I can see areas that could be improved. It's nothing major, just some minor tweaking. Recommendations to other buyers: Price vs. quality of product is always how I shop for anything. I have found this product and the support team to be a great value. The main characteristic I look for in any software is how user-friendly it is. I looked at several different software products available, but this one was the most user-friendly of the few that I chose to compare. Comments: We are a residential property management/owner company. We were looking for a simple, easy to use, robust system that would allow us to have all info at our fingertips, and also wouldn't cost and arm and a leg. We were utilizing a very complicated software system that would not allow us the flexibility required. We opted to have all prior history entered into the system as opposed to having it uploaded (for our own reasons). The input of historical data took some time on our end, and we had a few issues all due to user (on our end) error. Each and every time we had difficulty, complications, or any problem at all - TM Support was either on-line and resolved the issue immediately, or responded advising they would get back to us with resolution and always have. The Support Team at TM is fantastic, professional, helpful, and extremely responsive. I would highly recommend this system for numerous reasons. It is economical, easy to use, and implement; and you are never without assistance when required. Thanks to all at Total Management! Pros: It works well after a lot of practice. Cons: The interface is outdated and does not lend itself to easy use by the less technologically literate users. Overall: I enjoy and use my TM regularly for both commercial and residential properties. It works well for nearly everything I need it to, but the design of the interface is dated and does not work well. Multiple windows open makes working on separate projects easier, but also infringes on organizational simplicity and ease of use. Thanks for leaving a review. Hearing back from our users is important to us, and we appreciate you taking the time to share about your experience. We're glad to hear that you enjoy using our program! Cons: Some functions take a little hunting to find....but they are there! Overall: We recently decided it was time to put up a website that would allow a multiple of functions to be accessed easily by our tenants and staff to do some basic things which, in turn, allows us more time to concentrate on our daily business. Incorporating the Total Management System into the new site has proven to be easy and seamless. The tech support during this transformation was excellent. Kudos! Thank you for leaving a review! We're happy to hear that integrating our system into your website has been an ease! Remember, if you any questions come up, you can always reach back out to our support team! 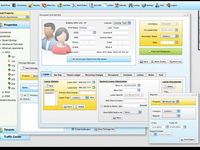 Comments: Total Management software is a great accounting program and fairly easy to use, however, there are still features that need to be added for the user. For instance, we have to email customer support to get certain reports that in essence,we should be able to print ourselves. There is also an issue with 1099's. It's not easy to figure out how to format them to the printer and for the past 2 years, I have had to get a work around from customer support. Another issue we have is correcting a journal entry. If you make an error and place something to the wrong account, Total Management doesn't give you the opportunity to edit the entry. You have to delete the entire entry and re-enter it correctly. Overall, the program could be great, but until some of these issues are resolved, I can't give it 5 stars. It could also be a lot more user friendly. It takes some time to navigate through and figure things out. There needs to be online assistance. Cons: The rent roll contains an A/R column that cannot be hidden. Converting to excel looks awful. Property tax and CAM should be separated and you should be able to pull a report that shows Property taxes paid to date by tenant. Overall: We were told that TM could be modified to hide the residential elements but that ended up not being the case. There was a recent "upgrade" which took out some of the necessary elements and added more residential. We asked to go back and when we did it erased parts of our data. Recommendations to other buyers: We have complaints of tenants not receiving their invoices and because we cannot verify that it went thru we are printing and mailing also. It's unprofessional that the message is "Here's your invoice" and we cannot change that or add a notation on their invoice anywhere. Pros: It is easy to learn and use. Cons: There are some simple features that are not present in the software. Overall: We are still very new to Total Management. The system is easy to use, but still has a handful of features that could/should be added. The system has been easy to learn and will be a valuable asset to running our properties. Recommendations to other buyers: For the cost it is more than adequate: especially vs the option of going with one of their competitors. Thanks for your review. We're glad to hear that you're enjoying the program so far! If you have any questions, remember you can always reach out to our support team. Comments: When we began working with Total Management I was immediately impressed with how much support they gave me and the staff setting everything up. Many of us were beginners and some with very little computer saavy. Anytime anyone would have a question or needed to be trained on something- they were quick to answer or schedule a training. Now that we are established, I am continually pleased by the amount of support I receive whenever there is a problem or issue that needs to be addressed and very quickly. It seems any time of the day or night Seth always seems to be there to walk me through something, explain, or fix an issue. I am 100% glad we made the choice to go with total management because I feel extremely secure with so much support and customer service every step of the way. It has been a pleasure working with you. Thank you for your kind words. Comments: We have been in the Apartment Industry since 1988, we own 10 Communities in Northeast Ohio. We have been manually tracking traffic, move-in's, move-out's and so on. With a few months of research and hard work deciding whom to choose, in helping us streamline our company, we heard about Total Management through NOAA. So, here we are in the trial phase and getting ready to go live in a few days. It has been an adventure but one that has been fun and incite full thanks to the team at Total Management. They took all the stress out of our data entry and gave us peace of mind. We are so excited to be up and running, with no more manual documenting. I want to say how wonderful the team has been. Justin, Sarah, and David are the best team I have experienced and I look forward to a long relationship with them. If you are looking at software programs, stop...Total Management is the one to choose. Thank you Team!! Recommendations to other buyers: Needs to be revamped to handle retail shopping centers. Checking account takes to many steps to do tasks. Best investment we have made! Pros: I tried the free trials on several programs and ultimately went with Total Management. From the beginning, the customer service was outstanding. Everyone I have dealt with has gone out of their way to make this transition as smooth as possible. The program is extremely user-friendly, and it has been very easy to train our managers. Cons: There are always things that can be improved with any product. So far, if there has been something that did not work for me, they have made every effort to fix it or find a usable alternative. Recommendations to other buyers: Try the free trial. You will be impressed. I think it would work well for any type of property, from commercial to affordable housing. Comments: To conclude, free accountant (for trail version only) for your real estate property management which sums out detailed account report, yet reliable. Pros: Multi-tasking with quick navigation adopted from quickbook. Generate account report and versatile navigation-tree for quick navigation. Cons: They should upbring a voice-calling customer support center instead of on-screen chat and trial version should be having less restriction.